Walking into the period kitchen at the Merchant’s House Museum, one has the distinct feeling of somehow having just missed the cook or a servant darting past you bringing a platter of roasted meat and vegetables to the table. Stepping through the door, it’s easy to sense the ceaseless activity that once must have filled this room. The cast-iron stove seems ready for another shovel of coal, the beehive bread oven stands waiting for the next batch of risen loaves, and the family pie safe stands solemnly in the corner seemingly protecting its contents from small hands and ever-present pests. The Merchant’s House Museum is one of New York City’s greatest treasures and an extraordinary historical document of home life in the antebellum metropolis. In fact, the 19th-century row house, intact from the exterior as well as the interior, was Manhattan’s very first landmarked property upon the passing of the revolutionary landmark law in 1965. Built in 1832 in the affluent Bond Street area at what was then the northernmost part of the city, the elegant five-story Greek revival building was home to retired hardware merchant Seabury Tredwell, his wife Eliza, their eight children, and a staff of Irish servants. The family moved into the house in 1835 and lived there until the youngest surviving daughter, Gertrude, died in the house at the age of 93 in 1933. Miraculously, despite dramatic changes in the neighborhood over the nearly 100 years since the Tredwells took up residence, Gertrude had maintained the house as it was last redecorated in the mid-1850s, “as Papa would have wanted it.” Upon her death, the house was purchased by a distant cousin, New York attorney George Chapman, who, realizing the rare treasure the house and its contents represented, made necessary repairs and opened it as a museum in 1936. Today, visitors see the home much as the Tredwell family would have known it, with much of their furniture intact and sitting where it always has. Exhibitions of personal belongings and an extraordinary revolving display of dresses and period clothing worn by the family are now on view for modern visitors. It is in the kitchen where visitors often pause and spend a few extra minutes. There is indeed something compelling about this space. The sense of authenticity is extraordinary —the servant call bells with their original wires still in place . . . the work table in the center of the room covered with cuts and scratches documenting truly decades of butchered fowl, chopped vegetables, and endless loaves of sliced bread, and the beehive bread oven cleaned and ready for the next day’s baking. Despite the dramatic detail of the intricate plasterwork in the parlors and the restrained elegance of the furniture and furnishings, it is in the kitchen where visitors often pause and spend a few extra minutes. There is indeed something compelling about this space. The sense of authenticity is extraordinary—the servant call bells with their original wires still in place at the ready to summon a servant to Mrs. Tredwell’s bedroom, the work table in the center of the room covered with cuts and scratches documenting truly decades of butchered fowl, chopped vegetables, and endless loaves of sliced bread, and the beehive bread oven cleaned and ready for the next day’s baking. In opening his museum’s doors to the public, Chapman intended to present the house as the family would have known it when they moved in 1835. His goal was to preserve the safe and predictable world of old New York, before, at least in his opinion, it became full of Gilded Age opportunists interested only in amassing wealth and power. The look of Chapman’s restoration of the house was restrained, even ascetic. One of his main principles was to display only objects that had belonged to the Tredwells. For the kitchen, he removed several of the objects he found upon taking over the house. A 20th-century gas stove was taken out, as was an icebox, and most importantly and mistakenly, two original heavy stone utility tubs. A pantry and storage room between the kitchen and family room were renovated to become a modern bathroom for visitors and next door a small service kitchen was installed for museum events. One of the largest objects he removed was the Tredwells’ original cast-iron stove, bought by Seabury Tredwell in 1857 for the grand sum of $37.76. Restoring the hearth to its 1832 appearance, he added a rebuilt crane from which he hung one of the Tredwells’ old cast-iron pots. 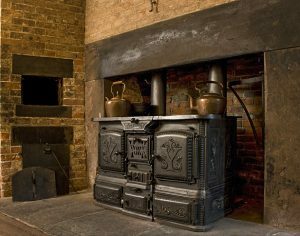 Chapman’s goal was to show the kitchen as it appeared in the 1830s and ’40s when, at least for some years, open-hearth cooking was the standard in New York homes. With Chapman’s death in 1959, the vision for the house was set to move in a new direction. He had, however, unquestionably established the Old Merchant’s House, as he called the museum, as one of the country’s most unique and important historic house museums. The Decorators Club’s view of the kitchen space was a far more romantic 19th-century vision than the preservation practices of today dictate. They brought in a central dining table and included a rocking chair draped with a shawl. . . . An early 19th-century kitchen was a hardworking space. . . . It is unlikely that a 19th-century servant would draw a rocking chair up to the hearth—and have kept her job. In the early 1960s the leadership of the museum was taken over by The Decorators Club, a New York-based women’s organization of interior designers. The Decorators Club had a new vision for the presentation of the house interior and began work to transform it to represent the best of the home’s former beauty, as well as to use the historic townhouse as their headquarters. The Decorators Club’s view of the kitchen space was a far more romantic 19th-century vision than the preservation practices of today dictate. They brought in a central dining table, included a rocking chair draped with a shawl and mounted the Tredwell blue and white transferware on the wall. None of this was authentic as to how the space would have been used or experienced by the family or their revolving staff of Irish cooks and servants. An early 19th-century kitchen was a hardworking space, one that was quite obviously hot, wet, crowded, and full of cooking smells of all sorts. 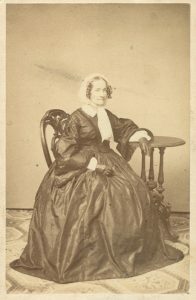 It is unlikely that a 19th-century Irish servant would draw a rocking chair up to the hearth and enjoy a cup of tea—and have kept her job. Nonetheless, the vision of the Decorators Club continued to gain press and visibility for the museum. The early 1970s were monumental years in the preservation of the house. Until that time, although the interiors had been repainted and woodwork had been patched, no serious comprehensive structural restoration of the entire building had ever taken place. Damage as the result of time and lack of repair had progressed to the point where the house had become structurally unstable and the roof was in serious danger of collapsing. As a result of his connections with The Decorators Club, the house’s savior arrived in the form of Joseph Roberto, an architect from New York University with a passion for New York history and the skills to give the building a desperately needed overhaul. Roberto was acutely interested in stabilizing the structure but also passionate about the authentic presentation of the rooms and contents. As he began his work, removing floorboards, shoring up walls, and repairing the roof, he discovered further clues as to how the house actually appeared to its inhabitants in the 19th century. Based on his findings, the kitchen was extensively renovated. Historians were aware that a fresh water supply was brought to the neighborhood at some point after 1842, when the Croton River reservoir and aqueduct were built in today’s midtown. The Tredwells’ household utility water was caught and held in a 4,000-gallon cistern buried just behind the house, where it remains today. Plumbing then brought the water into the kitchen via a system of lead pipes discovered in the basement. Roberto installed a 19th-century sink and pump along the west wall, which, at least for the time being, helped visitors imagine how an early water supply was likely brought into the kitchen. Roberto purchased a period Abendroth cast-iron stove and installed it in the open hearth. Seabury Tredwell bought a similar new stove in 1857, though we don’t know if it was the family’s first, or it they were replacing an earlier model with a more modern design. Early cast-iron stoves made domestically were often the bane of cooks for their lack of strength and tendency to crack. Nonetheless, the introduction of a double-oven, six-burner cast-iron stove would have made the cook’s life easier in preparing meals for a household that at its height approached nearly 20 members. In recent years, under the guidance of Executive Director Margaret Halsey Gardiner, the kitchen and entire house have undergone yet another restoration with a detailed eye to restoring the house as accurately as possible to the 1850s, when the Tredwell family undertook a top-to-bottom redecoration of their home. During the period, many wealthy families were leaving the once fashionable Bond Street area and making the move uptown to the rapidly developing neighborhoods along Fifth Avenue and in Murray Hill. For reasons unknown, the Tredwells chose to remain in their beloved East Fourth Street home and update their interior décor. As part of the research for a comprehensive Historic Furnishings Plan begun in the early 2000s, even more was discovered about the kitchen, which led to its most recent renovation. Extensive exploration of the piping system, hidden for decades behind the walls, revealed new information on the kitchen’s original layout. The utility tubs that Chapman mistakenly removed have been replicated and reinstalled. These sinks were originally used for laundry and the washing of heavy pots and cooking equipment. The sink and pump system installed by Roberto was removed and a zinc replica, created from period advertisements and drawings, has been installed to give a more accurate impression of the original sink servants would have used for the washing of fragile glassware, lamp globes, and china. TTTA question has long lingered as to the original color of the walls throughout the house. Most of the walls have been kept a neutral off-white color since Roberto’s era. In 2011, a thorough paint analysis of the house was completed, revealing the kitchen and ground floor to have been painted a warm ochre color in the 1850s. A thorough repainting of the ground floor in 2013 has returned the walls to this original color. In addition, a long-maintained assumption was that a pass-through window existed in the kitchen, connecting it to the ground floor front room, which functioned as the family’s intimate dining room. This pass-through window would have, in theory, made it easier for the servants to pass food from the kitchen into the dining room for service. When excavations were completed within the walls separating the two spaces, no evidence of a pass through was found; however, the outlines of an interior window were discovered. This interior window was designed to bring light from windows on the exterior walls to the dark interior pantry. Given the placement high on the wall, this window clearly functioned to bring at least some light to the original linen and china storage pantry. The window has since been reconstructed and restored to its original place. One of the mysteries of the Tredwell kitchen has centered on a cupboard-like space just to the left of the hearth and above the brick beehive bread oven. When the kitchen was working full tilt, the cupboard would have unquestionably been an extremely hot space. Speculation has assigned it various purposes including a place for bread dough to rise or a space to warm plates. 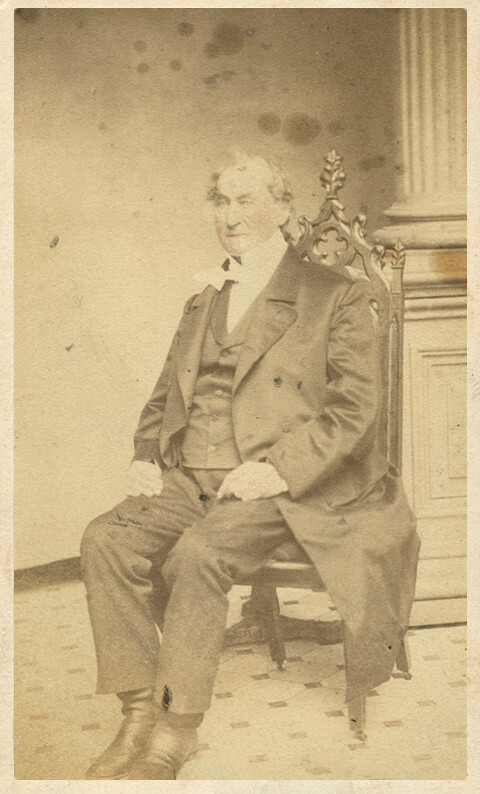 Museum historian Mary L. Knapp, author of An Old Merchant’s House: Life at Home in New York City: 1835–65, provided the answer through some recent research. A diary entry in an obscure source revealed that such a cupboard actually functioned as an iron storage cupboard. The kitchen would have been a very wet place and any iron cooking implements would be in constant danger of rusting. In the cupboard, heat would evaporate any moisture on them, thus preserving them for safe use. 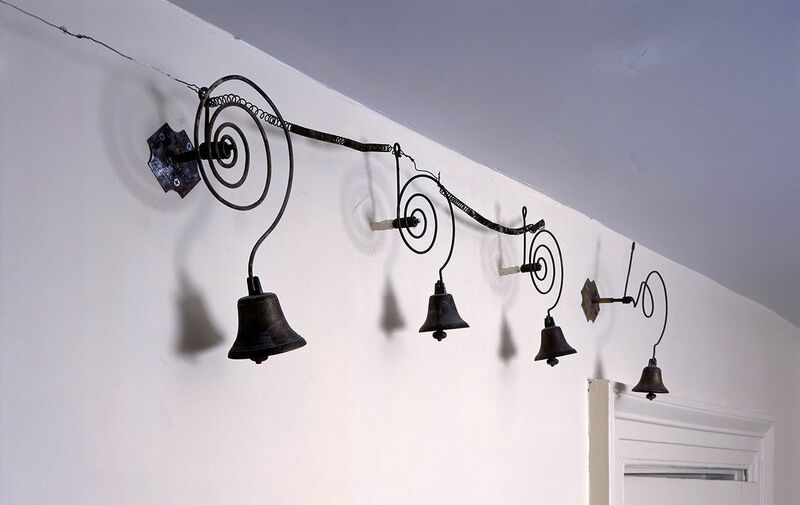 Among the most intriguing aspects of the kitchen are the servant call bells suspended on curved wires on two of the walls. It is extremely rare to see an intact system of what, in 1832, was a high level of technology. Visitors on tours today laugh and inevitably make a reference to the similar bells made famous by the British television series Downton Abbey. House guides hasten to clarify that the presence of the call bells is the only similarity between the worlds of the fictitious Masterpiece Theatre family and the Tredwells. As with any historic house museum, the search for authenticity is continuous. With the re-opening of the restored kitchen in 2014, the space now reflects the room the family and their servants would have known in the 1850s as accurately as possible. Current museum programming includes talks, tastings, and demonstrations to further educate the public on the cooking and dining practices of mid-19th-century New York. The search for more information never ceases, and yet, in the ground-level kitchen of the Merchant’s House Museum, there is a tremendous sense of the authentic. If you squint when the light is just right, you can almost see a servant returning from the dining room, rushing to the stove to assemble the next platter, and smell the comforting aromas of a family dinner in progress. The Merchant’s House Museum is located at 29 East Fourth Street. Visit the museum’s website at www.merchantshouse.org for details on its hours of operation, guided tours, and special events. Carl Raymond, a marketer, writer and museum educator, is the director of education for the Merchant’s House Museum. A professionally trained chef, he offers cooking demos at the museum and has taught recreational culinary classes extensively in the New York area.